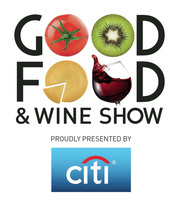 Come and visit the Black Stump Wines stand at this event, being held at the Melbourne Convention & Exhibition Centre. quality output on show. If you visited the stand during the event we look forward to hearing from you again. Download or Submit an order form obtained at the show. Read about the Wine Prize Draw entry for purchases made. Request a monthly newsletter update. A Prize Draw for a $44 package of Black Stump wine of the winner's choice will be drawn at the end of July 2016. Anyone purchasing a bottle at the stand is eligible for the draw. Anyone purchasing a bottle by other means between June 3 and July 31 is also eligible. If you made a purchase but missed out on giving us your details during the event you may enter via the form below. You are invited to leave comments on your experiences at the Show. FREE DELIVERY TO VICTORIA UNTIL JULY 31st. Despatched Each Monday to be Received During the Week. Upload the filled out Order Form via the form below. Use the one obtained at the show or downloaded here. Then you will be sent a confirmation and payment request by Paypal or EFT. Use the Online order forms available on this Website. 6-Pack & Dozens, or 1,2,3-Pack. Choose Free (12+ bottles) or $10 Delivery (1-11 bottles). when using promo code 'MGF16'.